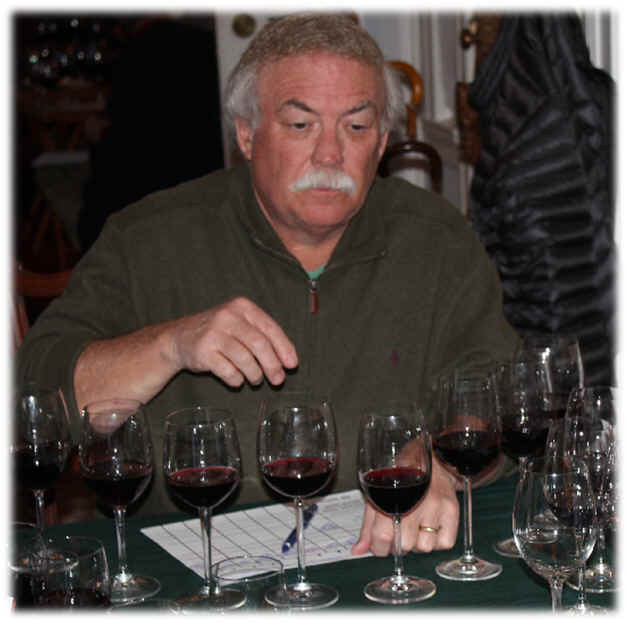 Vino Fino founding member Tim Zainer did some terrific scouting in Southern Oregon, as he was curious to taste Tempranillo wines from this below-the-radar wine region. Tim visited numerous producers. 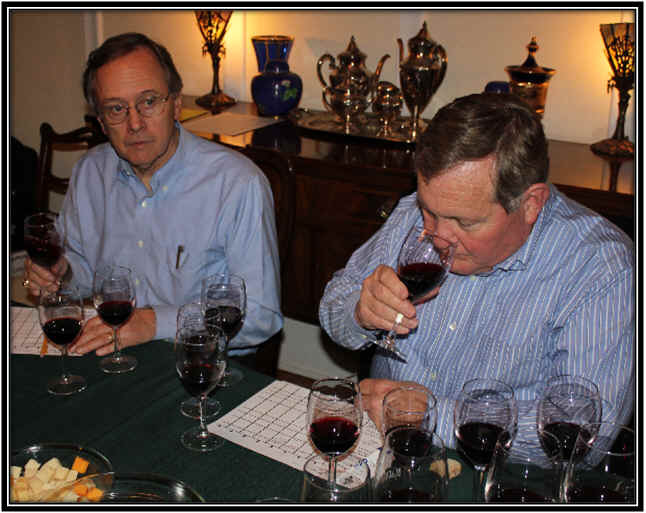 tasted dozens of wines and returned with a prospective line-up for our February 2013 tasting. As a bit of a benchmark, we included a famous Spanish wine which carried a price-tag similar to those from the Ribera del Duero region. The Tempranillo grape may have been in California prior to the Prohibition Era, but it was not much endorsed by the University of California at Davis as being especially worthy of planting afterward. The grape was known as Valdepenas back then, but a vineyard registry from 1891 doesn't seem to list this at all. In the "bible" of the 1960s, A. J. Winkler mentions Tempranillo in passing and even mistakenly claims Rioja wines were made of Cabernet Sauvignon, Grenache, Tempranillo and Mazuelo. In fact, Spain's major red wines from the Rioja and Ribera del Duero regions are made principally of Tempranillo. Hilda and Earl Jones, Floridians, knew a bit about the Tempranillo grape, being fans of Spanish wines. Aware that California's Central Valley, where Tempranillo had probably been cultivated, was too damned hot to produce wines rivaling those of Rioja and Ribera del Duero, the couple searched high and low for a prospective site. Eventually they found Southern Oregon and the Umpqua Valley. 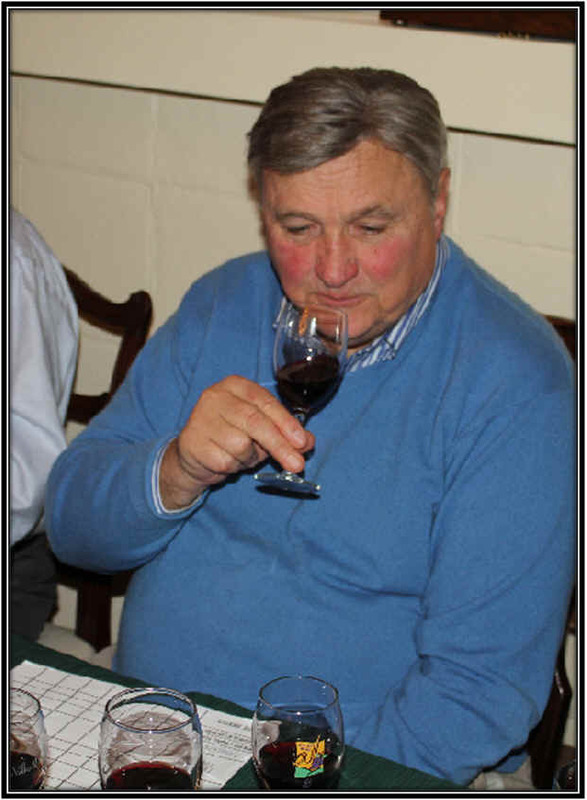 In the early 1990s they purchased some Tempranillo cuttings from various nurseries and embarked on their pioneering efforts which has now encouraged a number of others to follow in their footsteps. The Jones family winery is called Abacela which is some sort of Iberian term for planting grape vines. Of course, Oregon's Willamette Valley is home to a hotbed of activity with grape varieties commonly found in France's Burgundy and an Alsace areas. 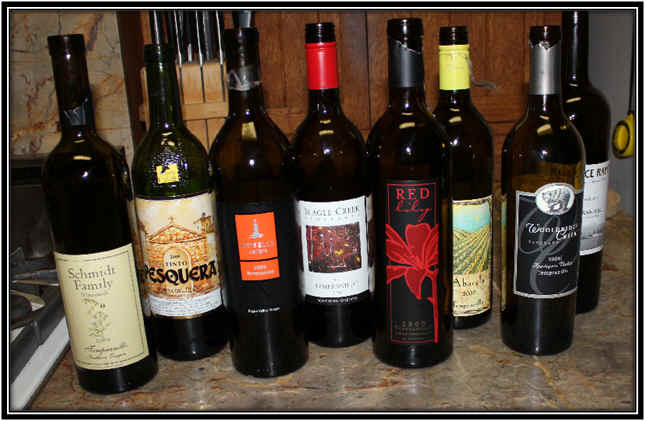 How would we find these Southern Oregon wines and would they "hold their own" alongside the famous Pesquera wine of Spain's Alejandro Fernandez? 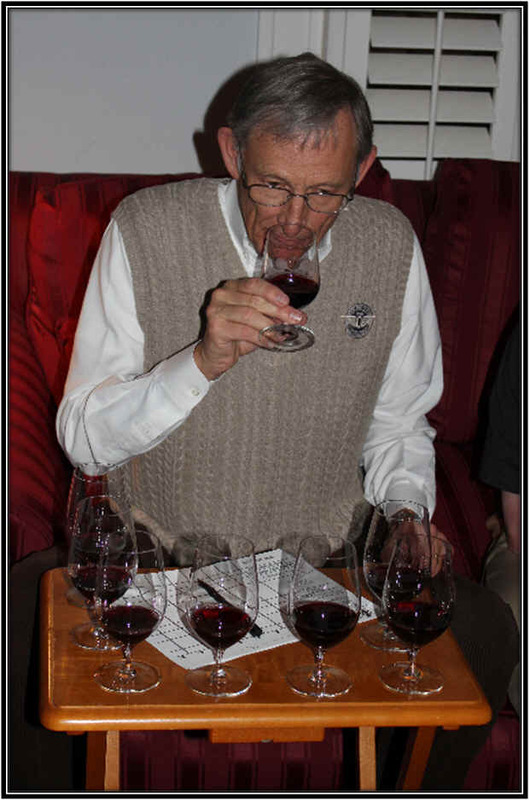 The tasting shows Tempranillo holds much promise for Southern Oregon vintners, especially if the grape is accorded proper attention in the vineyard. Overall, the top wines were of good quality, but some Vino Fino tasters noted they were unwilling to spend $30 for these wines, especially when some excellent Rioja can be had for $15-$25. 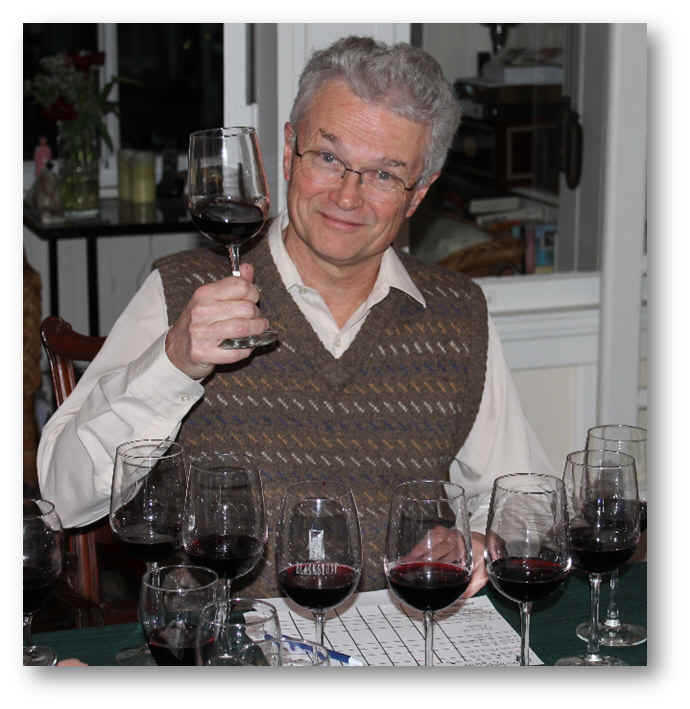 I didn't taste a single wine I'd have pegged as being reminiscent of traditionally-styled Rioja, as many of those Spanish wines offer a fair bit of American oak as part of their aromatic and flavor profiles. These wines showed more modern stylings. Our top three ranked wines were virtually tied for first place, separated by a mere 3 points with 12 tasters participating. Our fourth and firth place wines were only 7 points out of the top spot. One bottle was corked and there were two others finishing significantly behind the pack. Our bottle was severely plagued by cork taint and was the poster child for 2,4,6-Trichloroanisole, TCA. Must re-taste. Still, one taster found this to be the belle of the ball. Clear in appearance and medium+ ruby in color...first fragrances are of mocha, coffee and cocoa...the oak, apparently, is more apparent than any particular fruit notes. It's dry and moderately acidic. Medium bodied. This is a perfectly nice dry red wine, but I felt it was a bit "anonymous" in terms of varietal character. It's technically, though, a well-made wine. I gave it a half star rating on my three star scale, no stars being an ordinary or standard quality wine. With a clear appearance and medium ruby color, this entry-level bottling from Abacela had some lightly vegetal aromas which made it less attractive from the outset. It's a dry red wine with pleasant acidity, medium to medium-light body and a moderate level of tannin. It's a simple, decent little red wine, but comes up short in the charm department. No stars here, thanks. Medium ruby in color and clear in appearance, I enjoyed the aroma and bouquet of this delightful red. I detected some lightly minty fragrances and good red and black fruit aromas...nicely complex. It's dry and moderately acidic with medium+ body. The wine is fairly plush in texture on the palate. It's mildly tannic but has sufficient dark fruit and light cocoa notes to stand up to the tannins. I felt this could cellar nicely for 5 to 10 years and I gave it a one star to one-and-a-half star rating. Clear in appearance and medium-dark ruby in color, the nose at the outset was of canned spinach or boiled green vegetables. This was quite unusual and not at all what I was looking for and I immediately dropped this to just ahead of the corked bottle...I was surprised, though, maybe 30 minutes later, after I'd come back to have a final sniff and look, the wine was showing some nicely woodsy notes and a bit of vanillin. I mentioned the vegetal character to one taster who immediately agreed saying "Wow, that's exactly what I find now!" as he'd missed this early on. No stars from me. I was quite delighted with this wine...it's medium-dark ruby in color and clear in appearance. The aromas are beautifully intense, with lots of dark fruit notes and some woodsy undertones. Very charming. 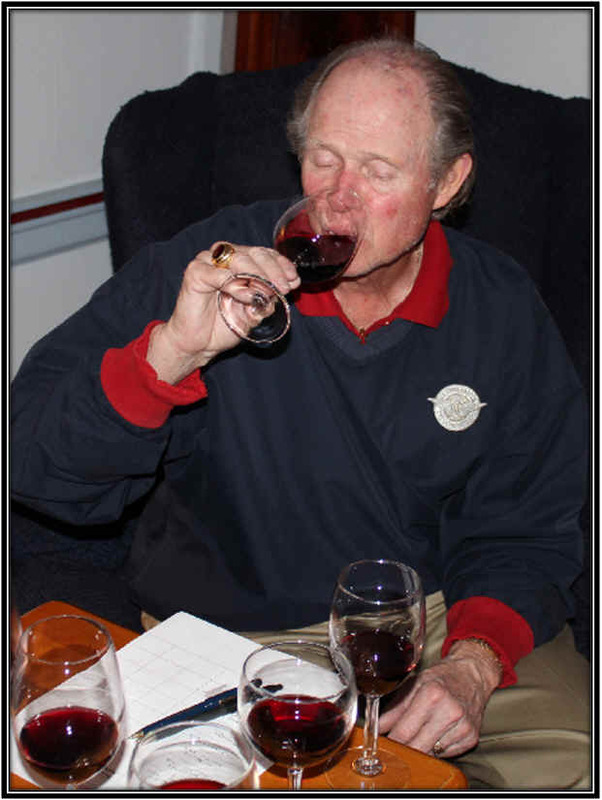 Dry on the palate and with good acidity...medium-full bodied. It's well-structured with ample tannins and plenty of fruit to stand up to the astringency. There's a nicely woodsy tone on the palate, too. This, for me, was the most profound and intense wine of the set. Two stars. Bravo. Clear in appearance and medium ruby in color, this wine offered nicely woodsy fragrances on the nose with ample dark fruit aromas. It's dry and moderately acidic. Medium-bodied and well-balanced. Its flavors show red and dark fruits with light oak. It's mildly tannic and quite good. One star+. I felt the wines of Kriselle and Red Lily both matched the famous Pesquera. This wine finished ahead of the pack by a whisker. It was medium- ruby in color and clear in appearance. I found the wine to show nice red berry notes on the nose. Dry and nicely acidic, this is a shade lighter than my other top-tier wines. It resembled the structure of a nice Pinot Noir and as it was a bit lighter and perhaps a bit more delicate, I dropped it below my other favorites.